As per your request, here is my Top 10 list for the winter. This was kinda tricky for me to narrow it down, but I picked the essentials in my closet that I always seem to go back to, and that make any outfit look spicy no matter what you pair it with. I have those boots and I love them because they DO go with everything! Agree with the brown boots... I wear mine all the time! 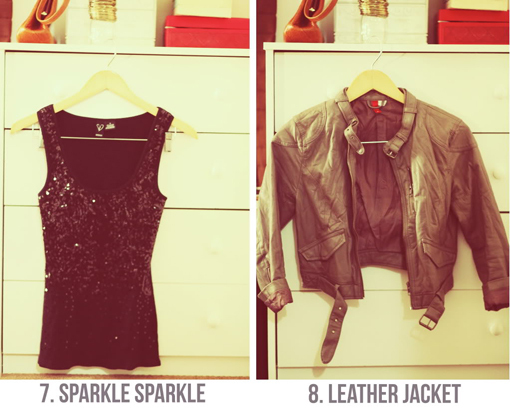 Thanks for sharing your top 10... your blog has been seriously helping me revamp my wardrobe! I love the mustard yellow cardigan. Great picks! If I had just a few minutes in your wardrobe.... ha! Love this! Great pieces! thanks for this. i'm heading off to somewhere winter-y and this is a good start. I really want a denim button up but they are at no American Eagle anymore...or anywhere period. Is there a place that you can think of that I could find one?? That'd be great! Thanks! I love this! 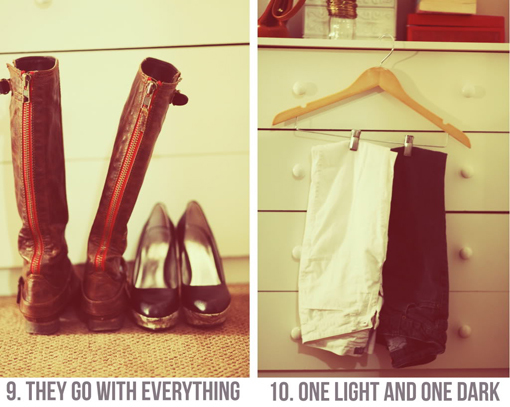 Been looking everywhere for a list like this :) Can't wait to see your spring essentials! So true. I live in my skinny jeans and boots. Because it is freezing here. in Florida. This was not in the information booklet. 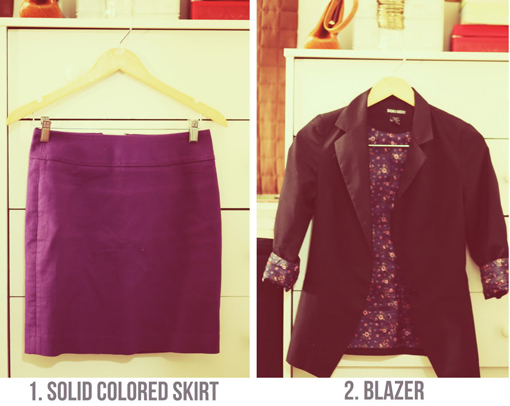 And blazers...to dress up any outfit. I just cleaned out my closet, so I really had to determine what was necessary and pair it down. Love the leather jacket! I love your picks - they are essentially the same as my essentials (though i much prefer dresses to pants). Love it! I have to say I agree with al you picks, great choices! Thanks, Sydney! I just found your blog about a week ago, and since I've been hooked! 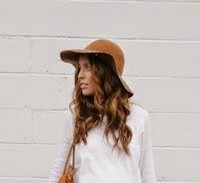 Thanks for sharing your fabulous outfits; you're wonderful fashion inspiration! I have to say my favorite outfit EVER from you was your day 30/30! COLORS! I just got myself a similar pair of boots and I have been going crazy outfitting them... next up: a denim shirt! Thanks again! I am actually rocking a mustard yellow cardigan today and I love it. It brighted up my whole day! I like your picks. But I have to say that I would add one more thing to that list: a warm, chunky cardigan in a neutral color. Maybe it's because I'm in Canada and it's cold - but I can't live without one. Solid picks! I especially love the cardigan, plaid shirt and denim shirt! Your boots are amazing! I will be hunting for a similar pair for the upcoming winter! I live in Australia, so our seasons are opposite to yours, though we're lucky that it doesn't get as cold! I just found your blog a couple of days ago and fell in love with it! great picks! i just picked up a plaid shirt yesterday cause i felt like it was missing and am so excited to remix it in my winter wardrobe. I have that blazer in grey! I love it so much. Your top 10 is fantastic! Love a pair of wedges, they go well with everything. Very useful list! Great picks! I have a lot of those pieces. :) Love the red zipper on those boots! I love all your pieces! Oiiiiii good stuff right there! I've been looking for the perfect denim button-up for what seems like ages and I STILL can't find one. Arhh! this is so perfect! i love these lists. you should make a different one weekly! like.. top 10 for beach vacation. top 10 for fall. etc. i'm inspired. no belt?! I don't believe it! I really need a great Boyfriend blazer, but I have so much trouble finding one that fits! Such a wardrobe stapel! 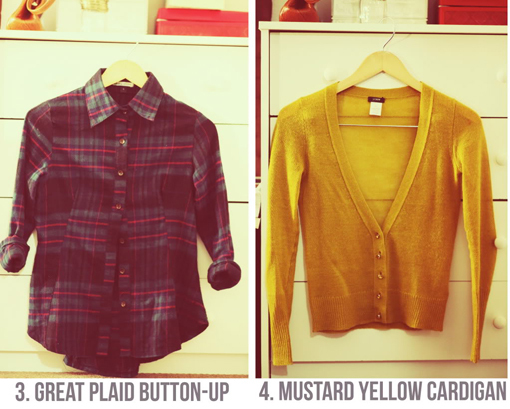 I also love the mustard cardigan. I have one from Target that looks almost exactly like that one. A must have. whoa! i have that blazer!! i think i got it at a boutique!! AND i NEED a mustard yellow cardigan.. real bad!! Good picks. I especially like the mustard yellow cardigan. It looks good on everyone. love the yellow, but do these picks really keep you warm? oh good grief, i am in love with all those objects! i am also in love with your editing! editing tutorial on the horizon, please? Gorgeous selection. I love the mustard yellow cardigan,and totally second the 'anything stripy' part. Oh Sydney, you gem! Thanks so much for this - excellent choices! bare essentials are soo important! they make or break your ability to get outfits together! The sparkle tank, I want one! And a solid colored skirt too. Yes, a plaid button up is a total must! i love all your picks and ESPECIALLY the mustard cardigan (no surprise)! i love your famous footwear purchases! i need to start looking there more! I just started a blog & yours is the first I'm commenting on. Mine still needs a lot of work, and I need to actually figure out how to use the darn thing, but I hope you'll check back. Reading yours was a huge source of inspiration for starting mine. I have a sparkly tank like that. I wish you would give some ideas about how to wear it not on New Year's Eve. i seriously need a good blazer. and a cute sparkly tank. These are most definitely essentials for the winter! 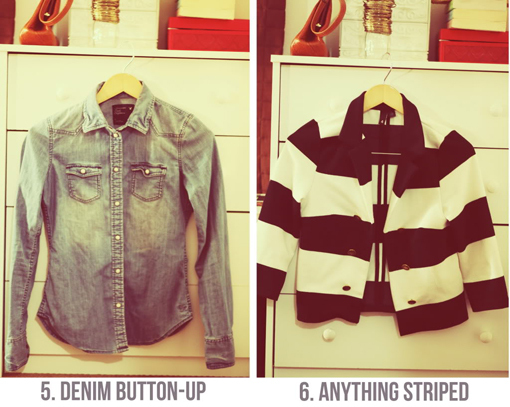 Love your picks & I am totally lusting over that striped cropped blazer! Yay, so glad I have most of them! Your blog is really good and I am like your 'Top ten winter wardrobe essentials'. I would freeze if those were my winter essentials. :) I do love all of your choices though, specially the mustard cardigan, the plaided shirt and the leather jacket. I was looking thru your posts and saw your family is wearing BSU shirts, where are you from? My husband and I live in Boise and are mega fans! This is great! Have you done one just for everyday essentials? Great picks, I was thinking I needed something mustard yellow... maybe a cardigan purchase is in order hmmmm what am I kidding a cardigan purchase is always in order. I found your blog somehow, not sure how...and I've been hooked ever since. There are a lot of fashion blogs out there, but yours keeps me coming back for more! You have a real future in writing. Keep it up! i also rocked a mustard yellow cardigan today. Gah, blazers. I have like 12 blazers. half of them black. I can't resist them. Cropped, boyfriend, fancy lining, pinstripe, navy, white with poofy sleeves. It's nearly a problem. These are ADORABLE! I'm doing a 30 for 30 right now, and this post totally inspired a lot of the clothing I picked out. Your photos are amazing. And your style is timeless. I totally agree with your picks! I especially love the mustard cardigan and boots. And I'm on the hunt for a chambray shirt, I've tried to resist but I'm obsessed! Great picks. I've been really into mustard colored cardigans lately. They seem perfect for everything. this is kind of funny- we were in the same art class this semester (i can't remember if it was visual art or art history) but i always thought you looked so cute! and here you are... so cute! hooray for rexburg... and boots! I totally agree with all of your choices! Love love love! I see you wearing these boots often & I love them to the max-- They really do seem to go with everything. Love your choices!! tienes clase! me gusta el toque que le das a tus oufits! felicidades! I definitely agree with you on these! I've been looking for the *perfect* sparkly top, but have yet to find it, unfortunately. Thanks for the inspiration! did i tell you i got them in black too? couldn't help myself. These are great Winter essentials. I wear a lot of plaid during the season and stripes never get old! I LOVE the boots! AND, I've got a closet full of stripes right now. Love it! Thank you for posting this! Now I have an excuse to go shopping! I need a good blazer and a good pair of boots. I'm posting this very late and I'm not sure you will even see this but I wanted to know how you liked the boots. The Madden Girl Zoiiee? If they fit well? I'm looking to get some! I want to raid your closet IMMEDIATELY!! I love that striped blazer, it's such a great piece to mix into the gloomy winter days. I tried to squint, but I just can't read it...what brand is the blazer? I love the print lining!